Managing your reservations is easy with Tour Manager. Tour Manager provides both a reservations calendar to easily and quickly add bookings for all of your products, You can also easily edit and add bookings to already existing reservations, all from within one easy to use booking screen. Easily edit or move reservations between dates and products. View just how easy it is to add or edit reservations. 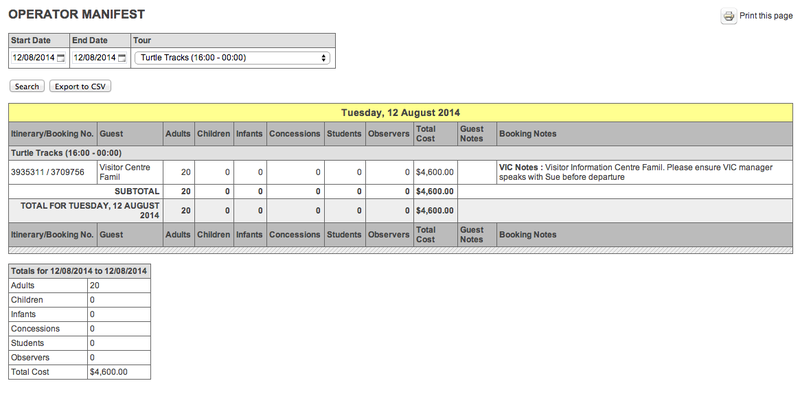 View your monthly reservations, easily determine number of pax booked, with number of places left on the tour. View, Print and export Driver/Captain Tour Manifests with ease.